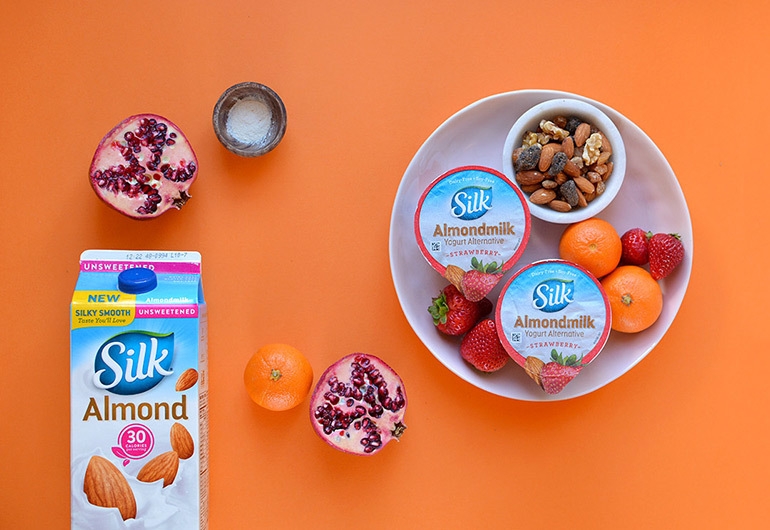 Start with Silk's strawberry dairy-free almondmilk yogurt alternative, then top with fresh fruit, nuts and a swirl of vitamin C goodness. Satisfying and delish, this plant-based breakfast will keep you full for hours! As mentioned in my previous post, we are trying to eat more plants in 2019. So I've come up with a list of plant-based swaps to make that easier for both of us! 1) Swap in dairy-free yogurt to create decadent desserts (like these unicorn popsicles and this chocolate mousse) and satisfying parfaits, like in the recipe below! 2) Use almondmilk and plant-based protein powder in your morning smoothies! 3) Hold the cream and use flavored almondmilk creamer in your morning cup o' joe or as a sweetener in your oatmeal. 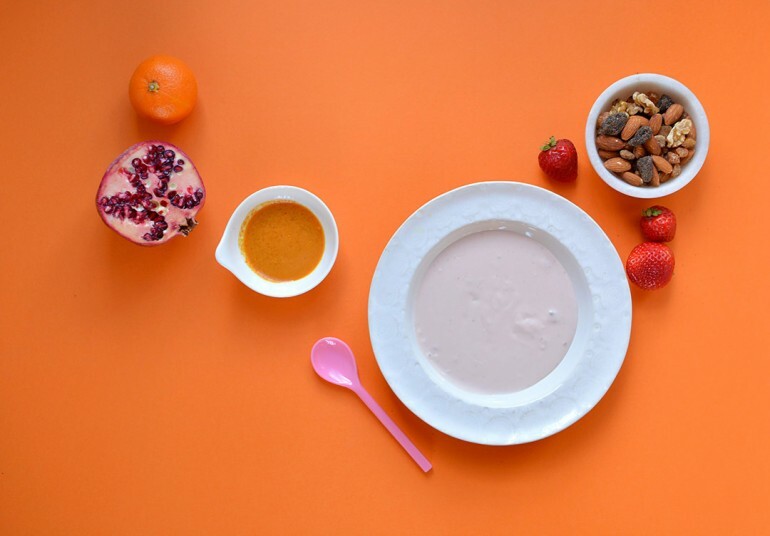 4) Create creamy sauces and soups with dairy-free milks. 5) Replace that pint of ice cream in your fridge with a dairy-free frozen dessert. This Salted Caramel Cluster is almost ALWAYS in our freezer! I mean, total #breakfastgoals, am I right?!? 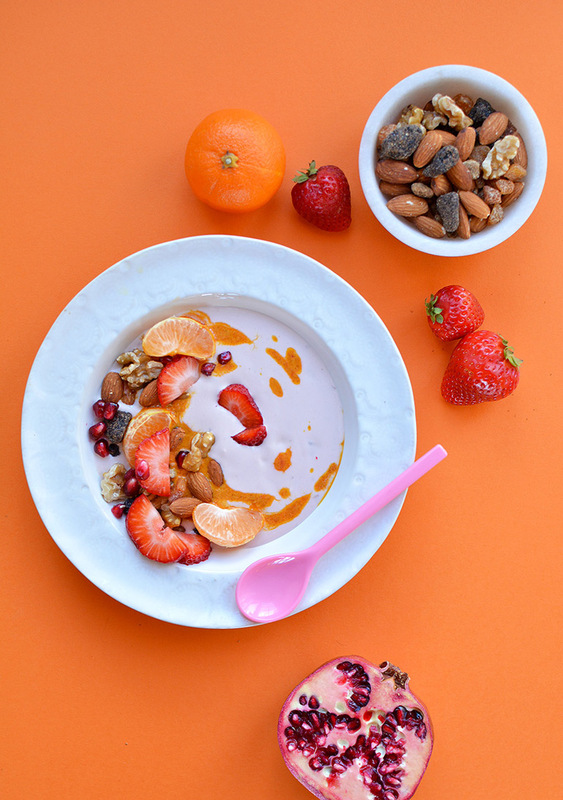 This breakfast is packed with Vitamin C, perfect for this time of year << insert cough, Ahem>>. My daughter has been fighting a cold all week, so we are getting alllllllllllll the Vitamin C we can!